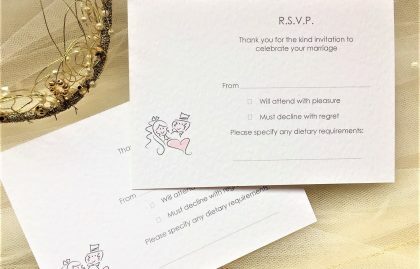 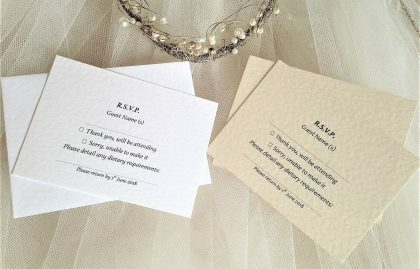 Wedding RSVP cards and envelopes. 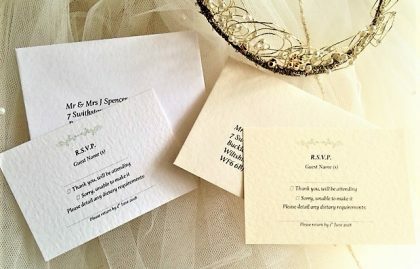 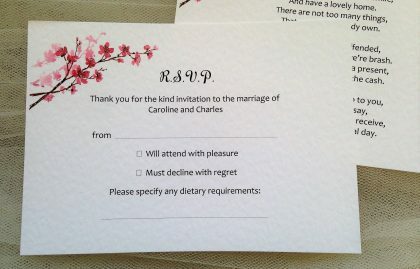 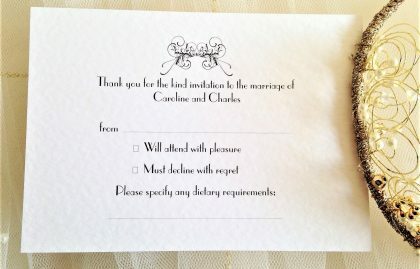 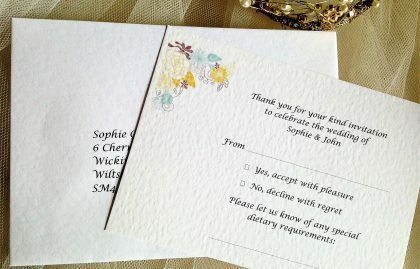 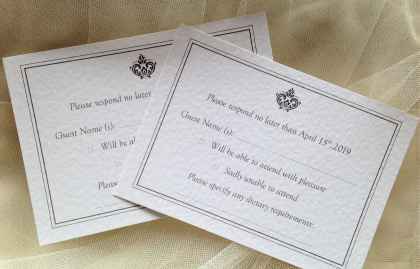 RSVP cards with a return addressed envelope are available in white or ivory hammered card to match your invitations. 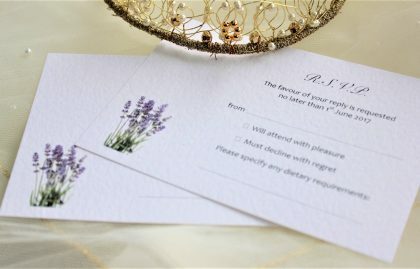 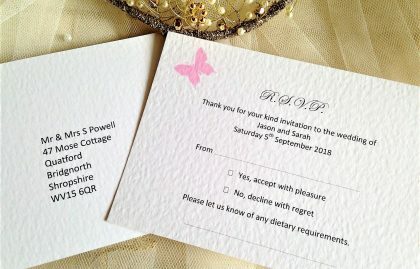 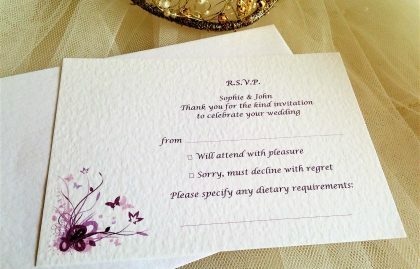 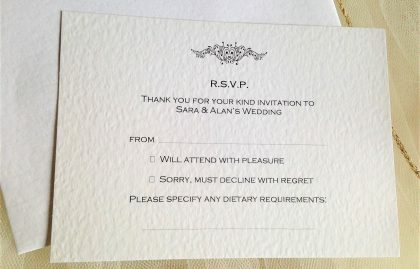 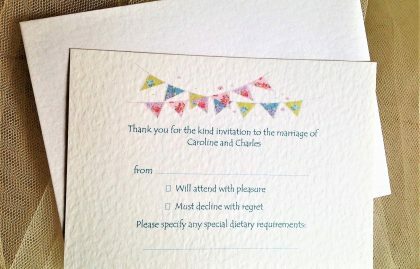 Printed with response details and supplied with a matching hammered envelope printed with the return address details. 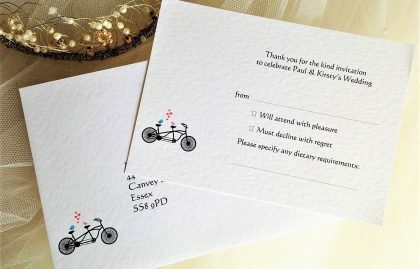 We can print in any font and colour to match other items. 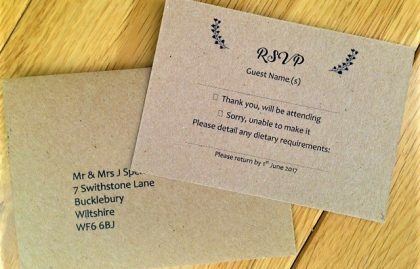 Please specify if you’d like the tick box layout when ordering. 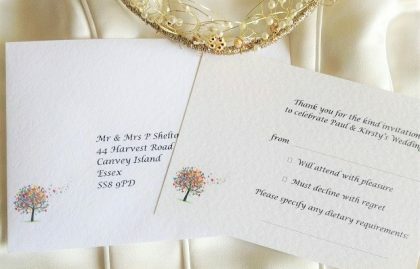 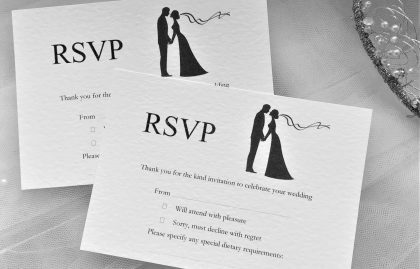 We have a fabulous range of wedding RSVP cards and envelopes to match your wedding invites.